Rock Ridge uses the WordPress platform to produce high quality web design projects for companies, of all sizes, across North Carolina, South Carolina and Tennessee. Our approach is simple; we strive to convey your message to your customers in a creative and comprehensive fashion. A website can be instrumental in solidifying your brand and enhancing your company, enticing interaction and conversion from your target audience. We can completely customize your design to be functional for your required uses; whatever they may be. Our packages include fully optimized content and coding making each website Google© search friendly. All of these elements come together to create a positive user experience ensuring that you get the most out of your web design project. 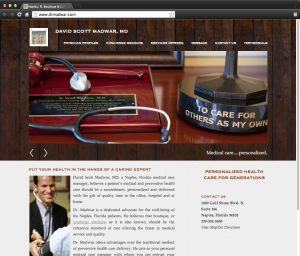 Website for the practice of Dr. David Scott Madwar MD, a Naples, Florida preventative health care doctor. 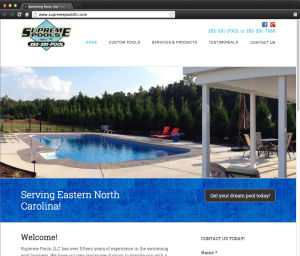 Website for Supreme Pools, an Eastern North Carolina swimming pool contractor, offering service, supplies, equipment and accessories. 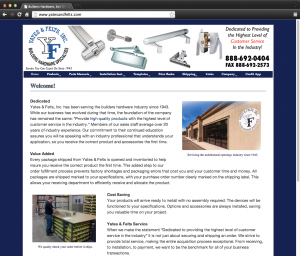 Website for Yates and Felts, supplier and distributor of commercial construction hardware, featuring entry and exit door components. 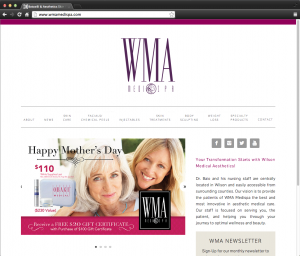 Website for Wilson Medical Aesthetics Medi Spa, provider of aesthetic medical care, including chemical, laser and ultrasonic skin treatments, injectables and weight loss programs. 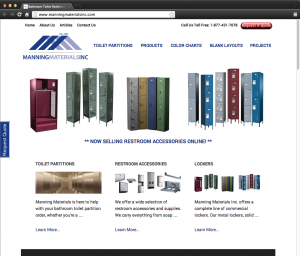 Website for Manning Materials Inc., a supplier and distributor of commercial toilet partitions, lockers and restroom accessories. 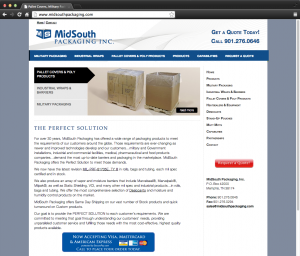 Website for MidSouth Packaging Inc., producer of commercial and military grade packaging materials and products, featuring anti-static poly wraps, bags, barriers, heatsealers, desiccants and more.